40 Full Color Glossy Pages filled with our products. 8.5" x 11"
See more Pictures inside Catalog Click Here! 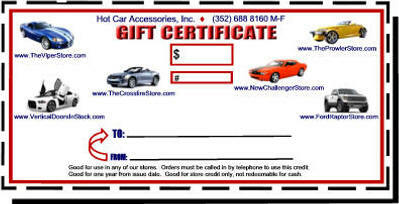 GIFTCERT Gift Certificate - for "The Prowler Store"
Purchase the gift that any Prowler owner will love!